All these modifications required a fair amount of work to be done and it took a couple of weeks before I could start doing some testing. 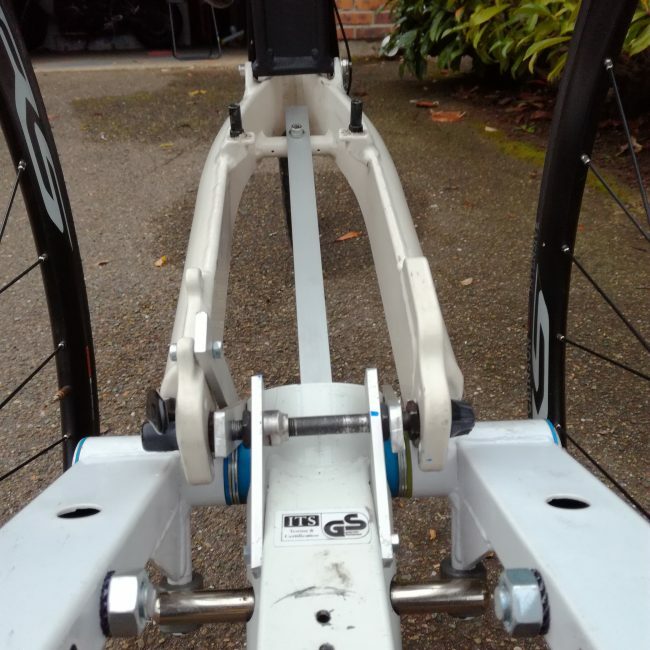 We can see the new layout of the tilting mechanism which is positioned in a lower position with regards to the rear part of the bike frame. Both swing arms are still long, later they will be cut to a shorter lenght. The handle bar is still the original from Raptobike with its typical ‘V’ shape. 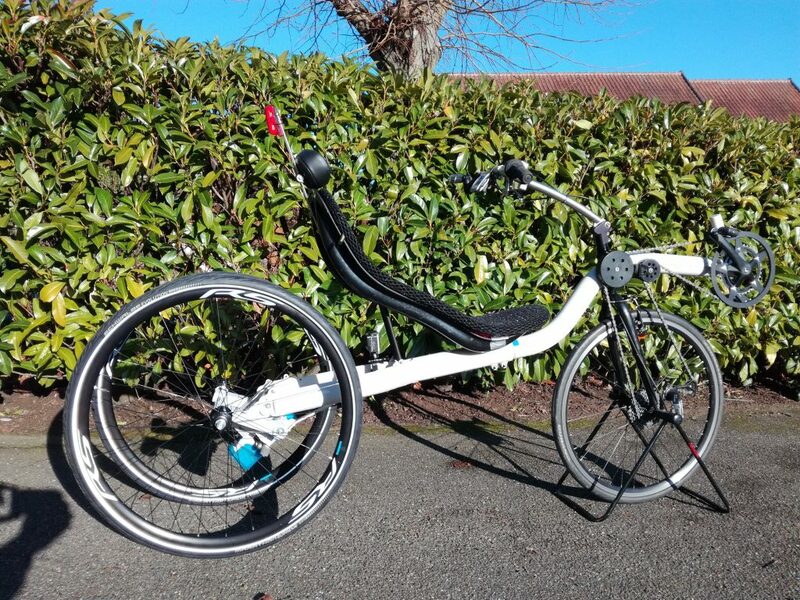 In this video, taken on a road with a thin layer of snow, we can see that the handling of this new V4 trike is very good. The feeling from a riding point of view is to be cycling with a bike instead of a trike, but with a much higher level of confidence. In this video, we can see how the tilting mechanism works. From further checks it was clear that the way the tilting mechanism was positioned was too close to the rear frame of the bike. 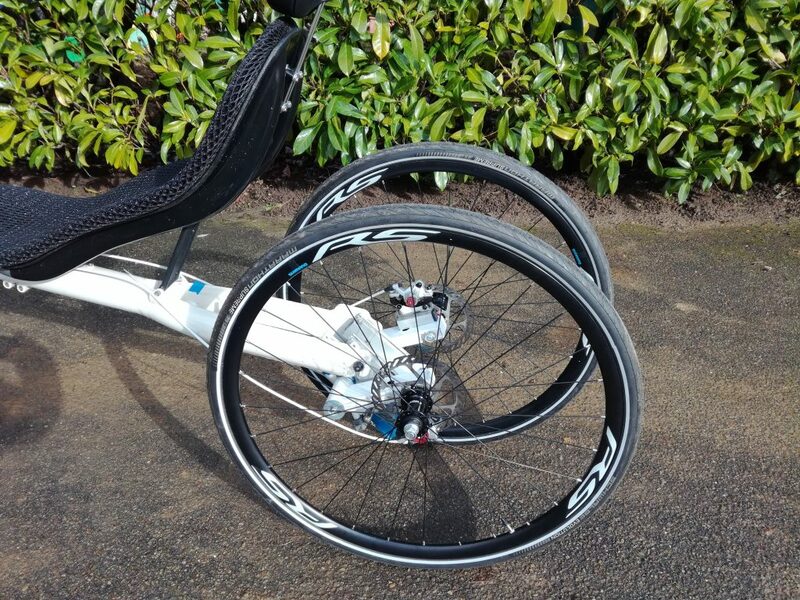 Now with the handling of the bike being optimized there was still an important point left out: 2 disc brakes at the rear of the trike. 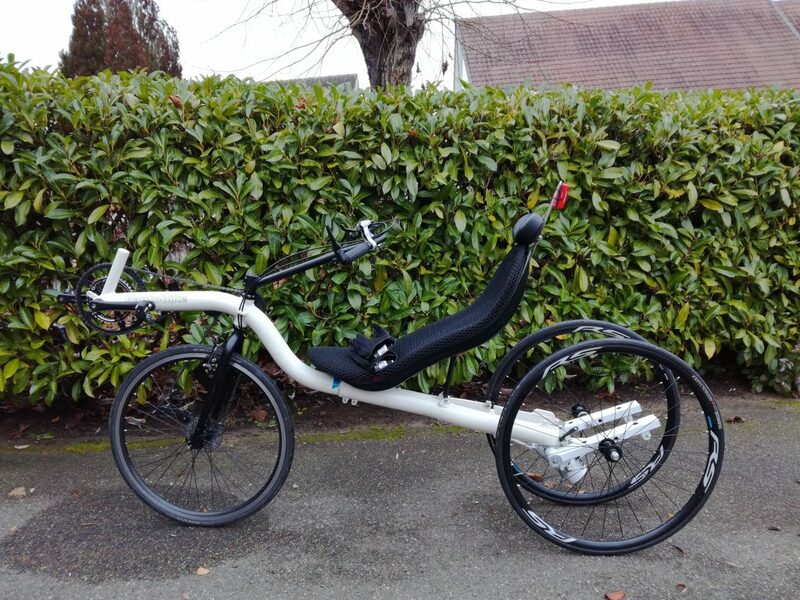 Here in the picture we can see the end result with the last V6 of the tilting trike. 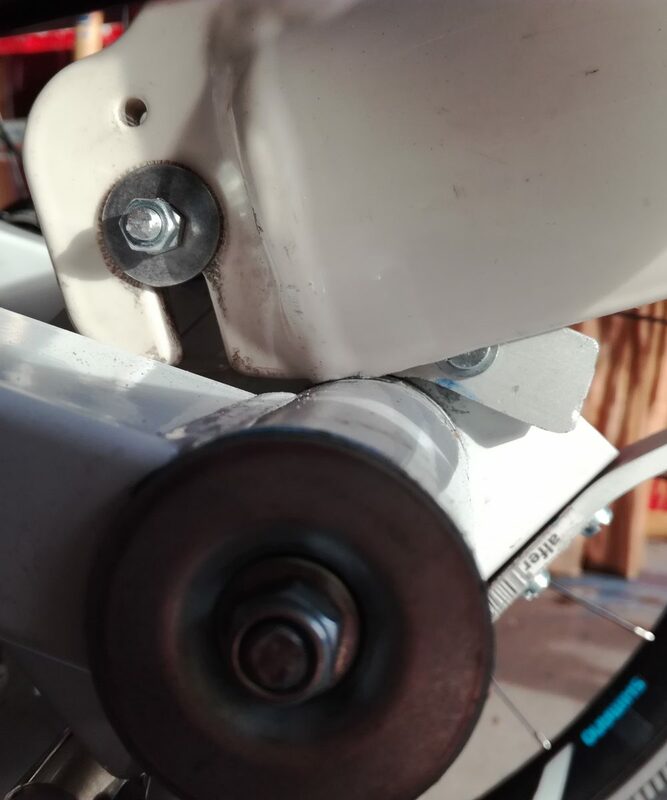 with a tilting mechanism we have to find also a solution to allow to ‘block’ it in order for the trike to be able to stand in a vertical position. 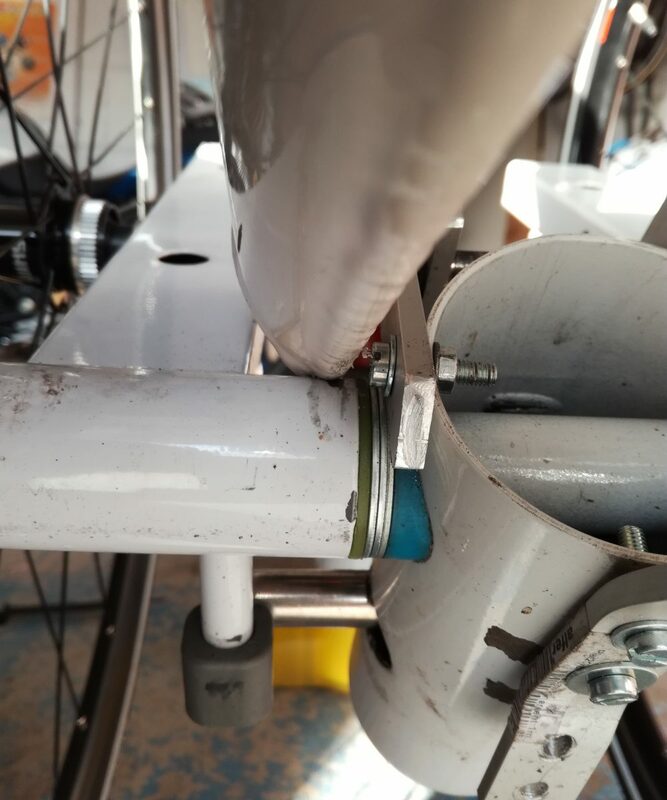 At this point the trike is ready for further testing: in parallel all the activity necessary to the installation of the hub motor, battery and solar panel can start. 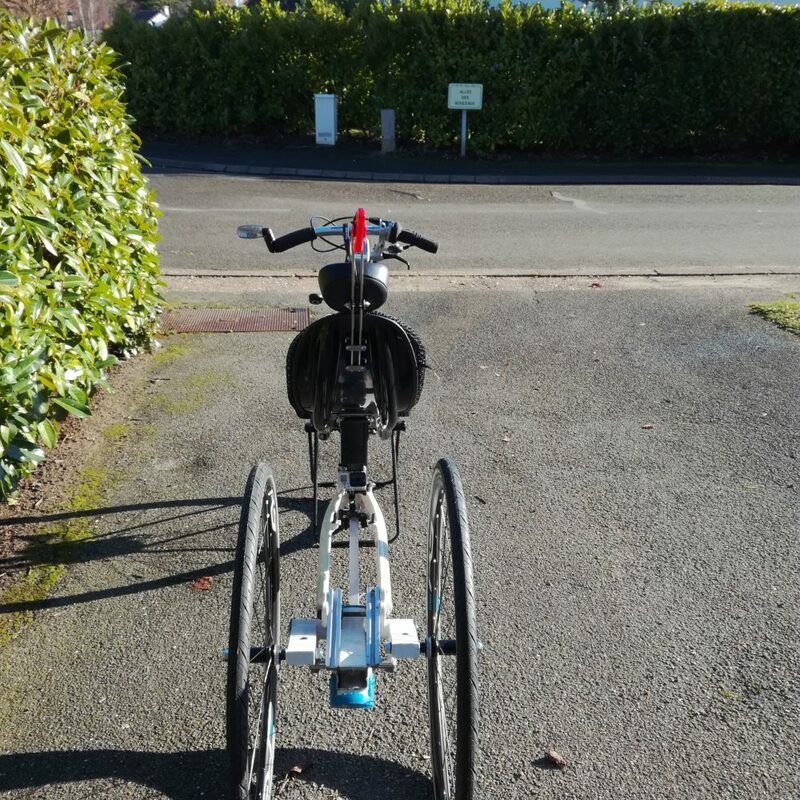 Go To page "Solar Tilting Trike"